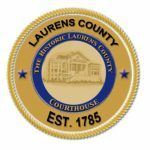 The Register of Deeds Office is within the Office of the Clerk of Court for Laurens County. Public records within the Register of Deeds Office include all land transactions, liens, and DD214 military discharges. Documents are recorded from 9:00 a.m. to 4:30 p.m. Please see our Fee Schedule at the top for information regarding our recording fees.